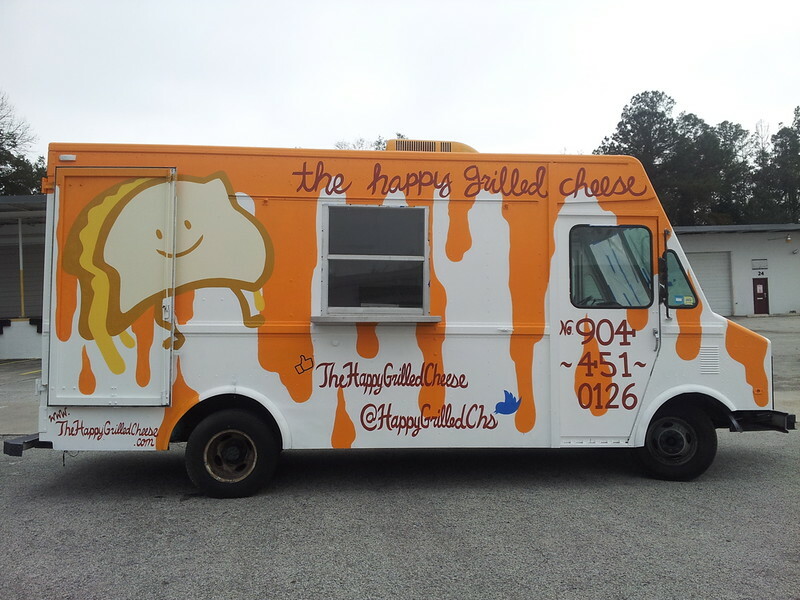 Fans of The Happy Grilled Cheese will welcome the news that after over a year of waiting, the popular food truck will be finally opening a brick and mortar storefront. But now, that location will be in the heart of the suddenly popular downtown Jacksonville. Anthony Hashem, the self-proclaimed ‘Sultan of all Things Cheesy’ behind popular The Happy Grilled Cheese food truck, is opening his first brick and mortar location in downtown Jacksonville within just a few short weeks. Downtown diners will be able to enjoy a full menu of gourmet grilled cheese sandwiches and melts at 219 N Hogan St, a space formerly occupied by FolkFood- a truck-turned-storefront business that has since closed. Soon, this vacant storefront at 219 N Hogan St will be oozing with cheese-crazed followers when The Happy Grilled Cheese opens. Hashem began service from the food truck in 2013 and quickly grew a rabid fanbase of loyal cheese-heads. Besides the food truck, Hashem and family opened the Jax Food Truck Court at 3814 Beach Blvd in 2014. In addition to the truck and food truck court, Hashem is also the pied piper behind a successful series of food truck rallies around town called the All Star Food Truck Takeover series. 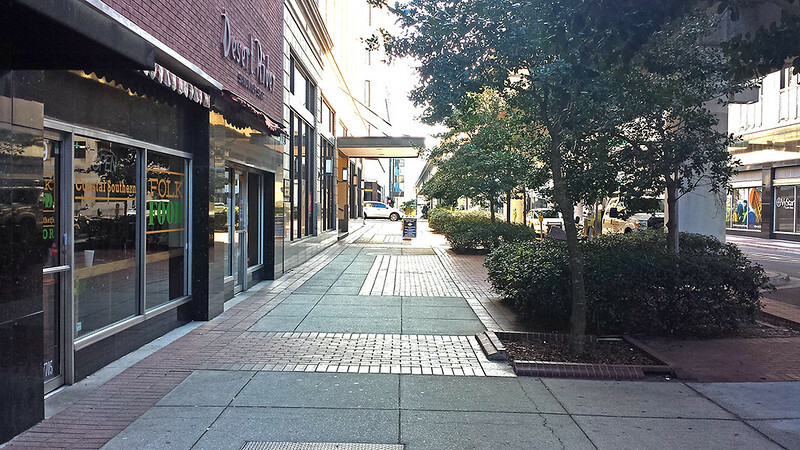 Hogan Street features wide sidewalks, and shade provided by a mature tree canopy and the Skyway roaring overhead. The location offers the perfect setting for an attractive outdoor seating area for the popular food truck-turned brick and mortar restaurant. 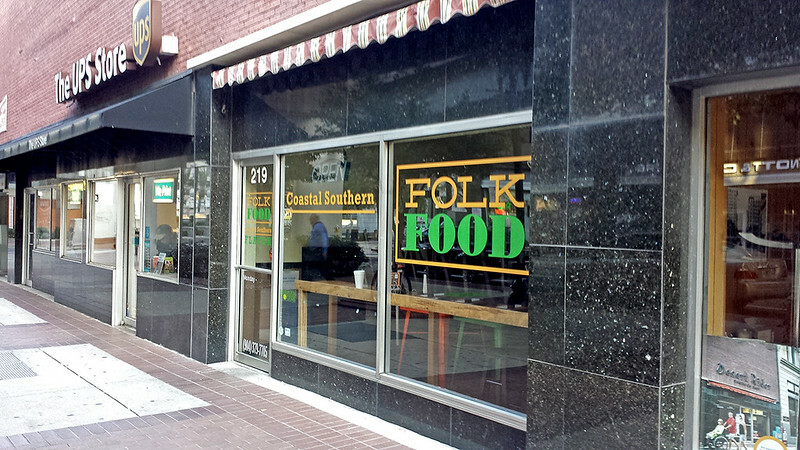 The new location adds to a growing culinary renaissance in downtown Jacksonville. Kazu Sushi Burrito, Breezy Jazz Club and Belweather, a new concept by Black Sheep Restaurant will be joining in the 2nd quarter of 2017, forming a dense concentration of restaurants with nearby Zodiac Grille. Image Credit: Jessica Becker, artist behind the rolling mural painted on The Happy Grilled Cheese food truck.